Partner with our Prosci Change Advisors to accelerate your change efforts and develop the strategies you need to achieve your goals. We become your trusted change management partner, sharing our resources and expertise to help you deliver results. We teach you how to implement change for yourself—one person at a time. You get all the training, support and tools required to succeed this time, next time, and every time you need to deliver on a must-win project or improve the change capability of your organization. We help you set realistic goals, steadily work toward them, and then measure the results so you learn faster and build momentum for structured change management at the enterprise and initiative level. Leverage onsite and remote support for your specific projects, all the tools you need to facilitate change, and personalized advice for building up your organization’s change capability. We couple expert advice with full access to the widest body of change management research and toolkits in the world, giving you deep insight into which strategies will work for your company, and which won’t. Engage expert Prosci resources to accelerate your success by collaborating on must-win projects or strategic change initiatives. Throughout the process, leverage Prosci’s industry-leading research, tools and methodologies to achieve and sustain your change goals. Align your change management capability with your organization’s overarching objectives. 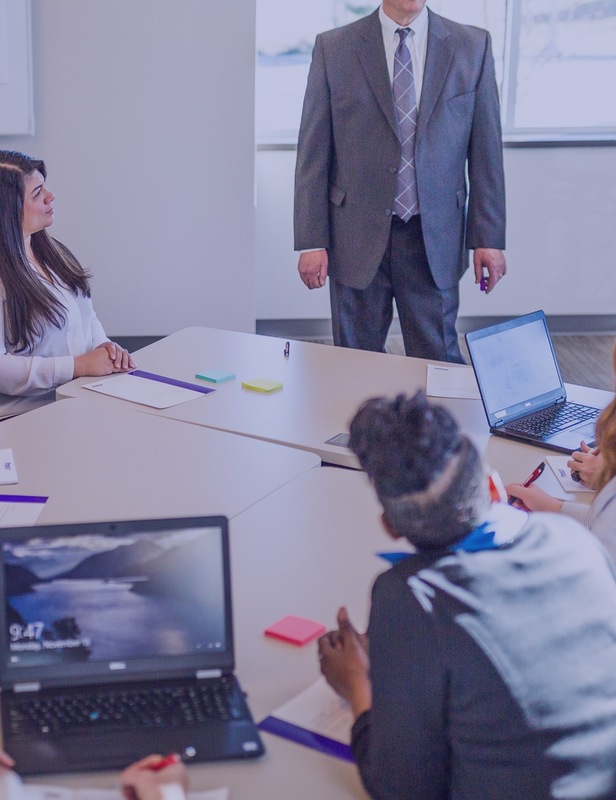 Build organizational change capability and agility through a shared vision and understanding of how change will achieve your desired outcomes. Benefit from hands-on coaching to apply Prosci’s change management methodology to key projects and change initiatives. Access to onsite coaching, virtual support, and advanced tools all help you ensure the success of your most important projects. 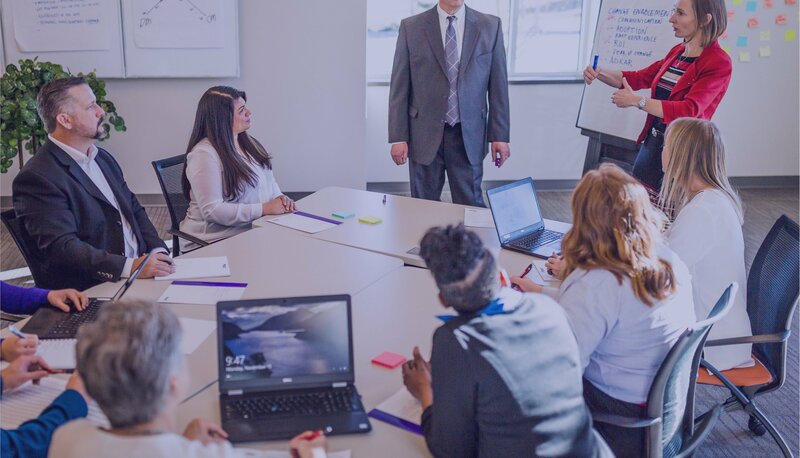 Leverage the expertise of experienced change management deployment executives to help you manage the implementation of your plan and grow your change capability. Also access a full suite of tools for tracking and improving organizational change maturity. Accelerate the value of change management in your organization. Integrate change management with your other change-enabling disciplines through this facilitated workshop. Clarify what success looks like for your organization, and establish goals and timelines for your change. Collaborate on project calendars and benchmark reports for tracking and measuring the success of your change initiative. 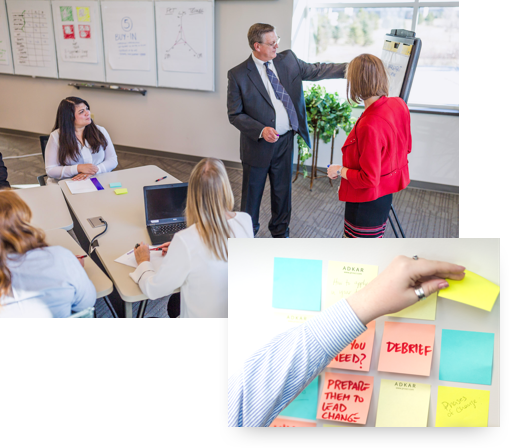 This facilitated workshop helps you define, track and deliver the expected results on large, complex projects. Visualize multiple changes and the impacts occurring across your organization on many simultaneous projects without losing sight of your key objectives. Gain a clear view of your change portfolio, for improved decision-making and business results. Get the know-how to apply change management best practices to every new project, and the tools and confidence you need to quickly deliver exceptional results on every future change initiative. 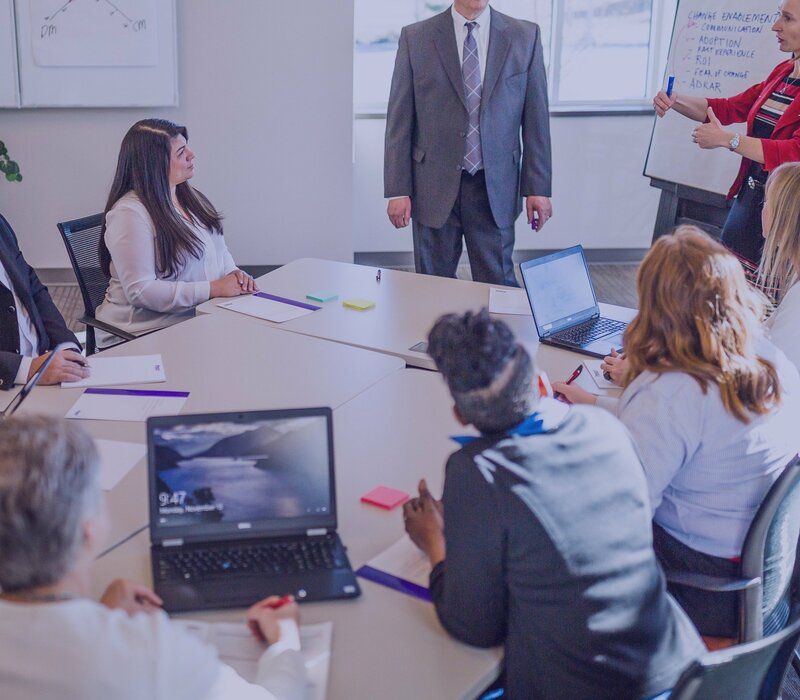 Prosci has been instrumental in supporting our efforts to build a full enterprise change capability: including structure, training, tools, and Advisory Services. Most importantly, they have helped us set a strategy and roadmap that we can use for years to come. Find out how Prosci can partner with you to support your organization.